It's not just new film that feature at the London Korean Film Festival , with a retrospective on actor Jung Woo-Sung , there is a selection of films featuring the actor and former model . Jung Woo-Sung is one of those actors that has worked in Hong Kong cinema as well , he featured in Shanghai Grand in 1996 and more recently in Reign of Assassins along side Michelle Yeoh in 2010. 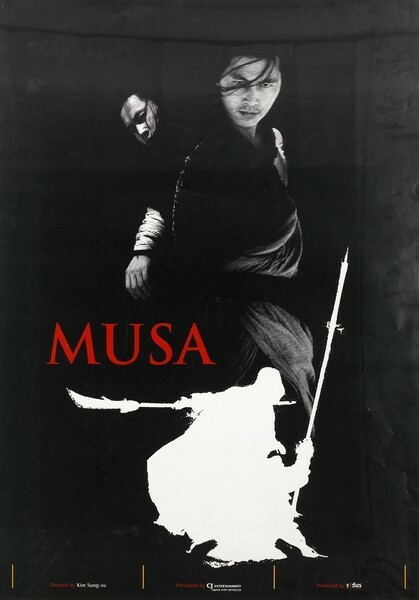 Musa the Warrior is a film that I would imagine came of the back of the success of Ang Lee's Crouching Tiger Hidden Dragon in 2000. Made in 2001 it was the most lavish Korean film made at that time , it had a five month shooting time and had more then 300 crew members. As well as a great Korean cast it also had many Chinese members as the film was set in China in 1375. They even got leading Chinese actress Zhang Ziyi ( Crouching Tiger , House of The Flying Daggers) to star as a kidnapped Chinese Princess and playing a Mongol warrior general is Yu Rongguang. Musa surrounds the visit of a Korean envoy party on route to meet with the Ming rulers. The Korean group are arrested in revenge for the death of one of their diplomats in the Korean region and put in chains to be exiled . The Ming enemies the Yuan who are cohorts with the Mongol armies led by General Rambulwha ( Yu Rongguang) are determined to smash the Ming. On route the Korean envoy team under guard by the Ming are attacked by the Mongol general and his men. Killing of the Ming soldiers the Mongol leave the Koreans alive to die of heat or starvation. Of course they break their bonds and look about getting to their destination. Among the Korean group is a young general by the name of the Choi and his men along with a low class Korean army led by Dae-Jung ( Ahn Sung-Ki) . The envoys have their slaves and bodyguards and one elderly envoy who gets injured releases his slave , of course the others ,especially General Choi disagrees and believes born a slave ,always a slave. The young slave named Yeosol , a expert in pole weapons the quite man just wants to be free. Left to fend for himself with his recently passed master he manages to keep up with the envoy team even though he has no horse. But when taking refuge in a local village the Koreans meet a Ji -San a Monk who is also on his way back to Korea. When they think they are on their way the Mongol and Yuan army show up , to make matters worse the Yuan have taken the Ming Princess Hostage after she ventured out by herself. Things get more interesting when Yeosol turns up with his dead master . He gets in confrontation with the Yuan and Mongol after one Yuan soldier desecrates Yeosol,s masters body. Taking out quite a few Yuan men with his trusty spear Yeosol eventually falls foul to the might of the Yuan and ends up being captured as the Mongol General is impressed with his skills. General Choi decides to rescue the Princess as he believes it will get them in good standing with the Ming Emperor.. Dae -Jung says that they should also help rescue Yeosol as he is actually on of their own men. The attack goes well and they manage to rescue the Princess with the aid of Yeosol who is set free by Dae-Jung. The film follows how factions within a group wander if the decisions being made fro them is right , the lower class soldiers wish to go home by any means , but General Choi wants to accomplish his plan and maybe in some way get rewarded. 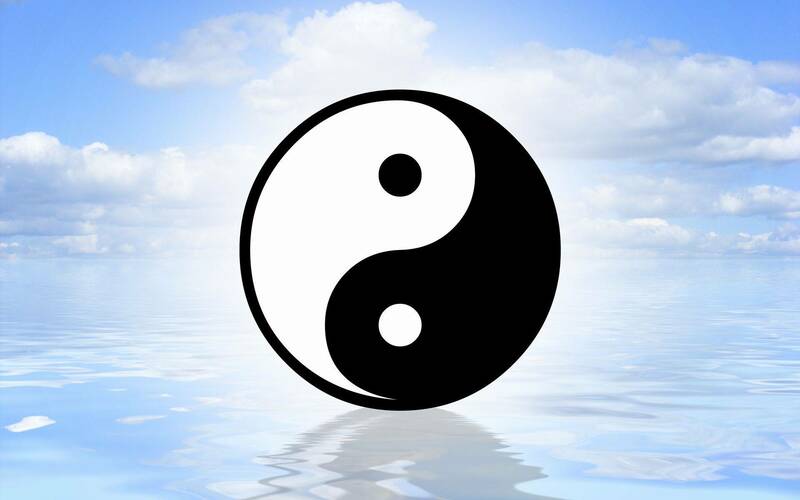 Their also the battle of wits between General Choi and Yeosol , two men at logger heads with each other. Choi wants Yeosol to listen and obey ,whilst Yeosol wishes to do as he wants, when he wants. These tensions within their own camp are worsened by the Princess who has a infatuation with Yeosol as he has saved her , she favours his protection over others , but Yeosol is no so hasty to please. The Koreans plan to head for the coast to a clay fortress where they can get supplies and head out to sea . The Yuan are on their trail and out number them considerably, what also slows the Koreans down more so are when they come across refugees from fallen villages . The Princess's subjects must be protected , many elderly ,women and children. . There are other characters which shine , one of General Choi's men Du -Chung a axe wielding soldier who protects the general whenever possible is a colourful character. Then there's the Interpreter who is quite cowardly and is reluctant to get involved even when people around are being butchered.. In contrast a young soldier by the name of Dan -saeng becomes one to hold many together as he is thrust into situations he believes he can not handle ,then suddenly finds the courage to suceed. Musa the Warrior is a great film with some superb fight scenes as Yeosol goes into battle against who ever he encounters. But it's not just that ,it's battles have some fine battle tactics choreographed within the scenes ,making for a authentic look at the warring states of China. The film was revered for it's authenticity in it's costumes and the story is based on actual events . In contrasts to Ang Lee's film Crouching Tiger , Musa is a more realistic look at Chinese and Korean history . The film was shot where each of the different factions used their own dialect , which made it very realistic and of course the action is grounded in battle strategies which are more to this viewers liking then the high flying antics in Ang Lee's film. I'm reviewing this for the Korean film festival , having just watched it , but I actually saw the film on it's release on DVD back in 2001 when these type of films where becoming very prominent in cinema around the world. Musa is a fine film whichever version you watch, the longer Korean version has more character development retained which obviously gives you more of a connection to the films characters , but the International cut is no slouch..
As I said Jung Woo-sung has worked with Hong Kong stars in the past and more recently. But other great films to see him in are films like Mutt Boy -2003 , The Restless -2006 and The Good 'The Bad and The Weird – 2008.